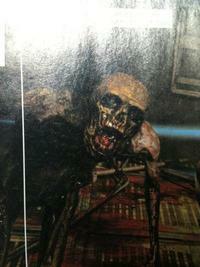 Unitologists are to play a larger presence in Dead Space 3 and are a confirmed enemy. Co-op will have different cut-scenes and interactions between Isaac and Carver. Zero space gravity section and dark corridors will be present as they were in previous Dead Space titles. Fodders & Feeders are a new type of necromorphs. 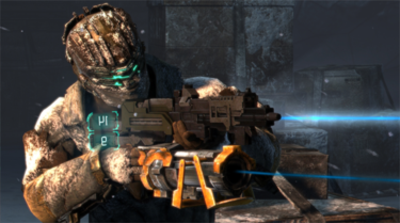 Dead Space 3 is to be less linear than Dead Space 1 and 2. You will be able to explore large environments and find “unique beta missions” that are not required to complete the main game. You can slap different guns together like a Plasma cutter/Ripper combo,Visceral didn’t say “how exactly these weapon mods work” but Game Informer noticed enemies drop scrap metal and ‘tungsten’ now. For those that are unaware of the premise of Dead Space 3, essentially Dead Space 3, as many acknowledge, will mainly take place on an icy planet known as Tau Volantis. Issac, injured and still enduring the seemingly endless suffering from trauma and side effects from the Necromorphs, seeks shelter and finds Ellie (an original Dead Space 1 survivor) at an abandoned outpost. It would seem Issac's new trek would begin anew as he sends himself out into the snowy wastes to find other fellow humans and the outpost they are burrowed in. The listed changes are quite welcoming indeed for Dead Space veterans and those green to the franchise. The lack of a multiplayer mode also means a lack of a notorious online pass ultimately resulting in deeper attention to detail and playability for the single and co-op modes. New enemies, such as the Fodders and Feeders, usher in new mutations to be uncovered and perhaps more insight as to how Necro-mutations occur in humans. Of course this also sums up to more weapons to cauterize these hellish demons with, so the ability to mix and match weapons alongside a never before seen Dead Space universal ammo system is quite comforting. Other notable returns and arrivals will be a co-op system and interactions, a much wanted cover system, zero gravity environments, tremendously buffed up world environments, and, as needed in any survival horror games, horrific dark corridors. It is nearly impossible that one would not be pleased with at least a portion of the disclosed features to be present in Dead Space 3, but what is most certainly irrevocable is the fact that Dead Space 3 will be a pathfinder. It will be a pathfinder for the Dead Space franchise as it cuts and navigates its way from the disc publishing factory and into the consoles in such grace that will please any Dead Space fan.